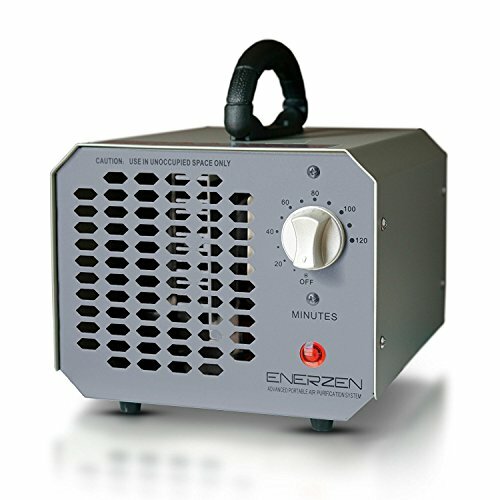 NEW & IMPROVED LARGER UNIT AND DESIGN - Over 4,500 mg of ozone production and a larger fan sterilizes more square footage for the same price. Now that's value! 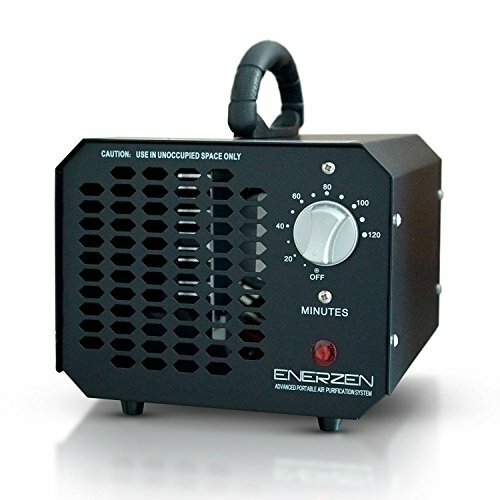 Commercial/Industrial Grade Ozone Generator - Low maintenance (NO filters to clean) and Portable Design (Compact and lightweight design means you can use the ozone generator virtually anywhere -- in your home, office, boat, car, just about anywhere!) THE ENERZEN OZONE GENERATOR IS BIGGER AND BETTER THAN THE OTHERS -- Compare our unit with the other generic box units on the market and you will see that our fan is larger for better ozone distribution, our ozone plates generate more ozone, and our industrial design is sturdier. POWERFUL ODOR ELIMINATION AND MOLD CONTROL AND REMOVAL -- Eliminates virtually ANY mal-odors from mold, cigarette/cigar smoke, pet odors, paint/cleaning fumes, dust, water damage, smoke damage, cooking odors, and other airborne irritants. Helps to eliminate and retard mold, mildew, and fungus growth. COST AND ECO-FRIENDLY DESIGN - Ultra-low energy usage yields cost and energy savings. Industrial grade steel casing will keep this purifier cleaning for years to come. USA 110V ONLY Model. 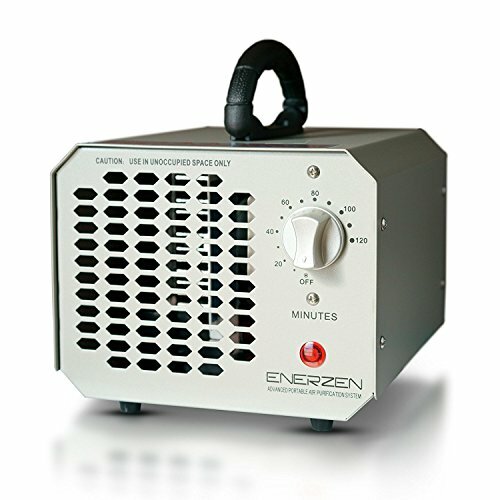 STURDY INDUSTRIAL TIMER FUNCTION -- Our improved timer is sturdier than others and allows you to control the length of purification time.